Men’s jewelry makes the perfect gift for dad or any other important man in your life, and this Engraved Ring for Men offers a manly and contemporary appearance he’ll appreciate. 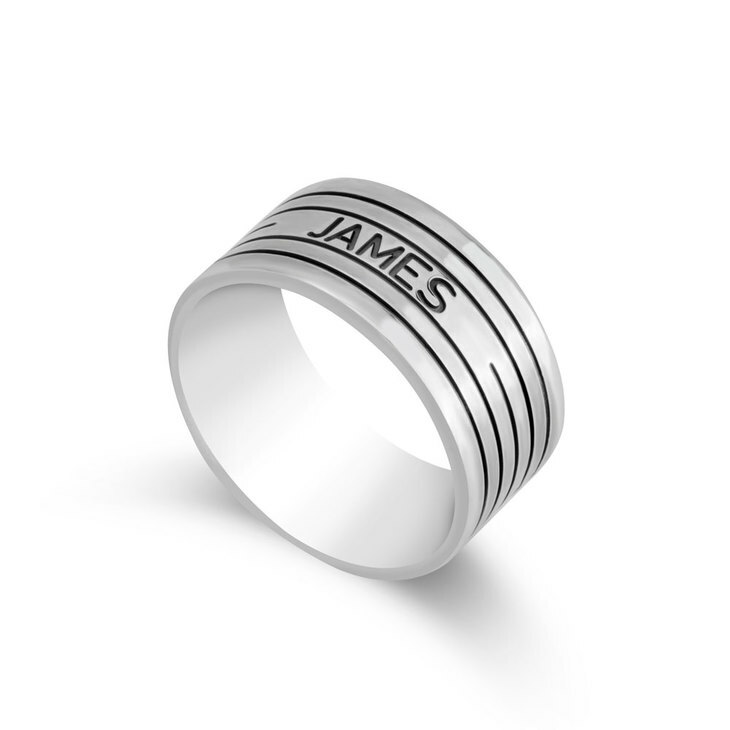 Made of sterling silver for durability and personalized with an inscription, this ring is also available in gold plated or rose gold plated. You can use it as a unique gift for your fiancée, treat your husband to an extra wedding ring that he can wear without fear of ruining a valuable original, or give it to dad or grandpa to let him know just how special he is.